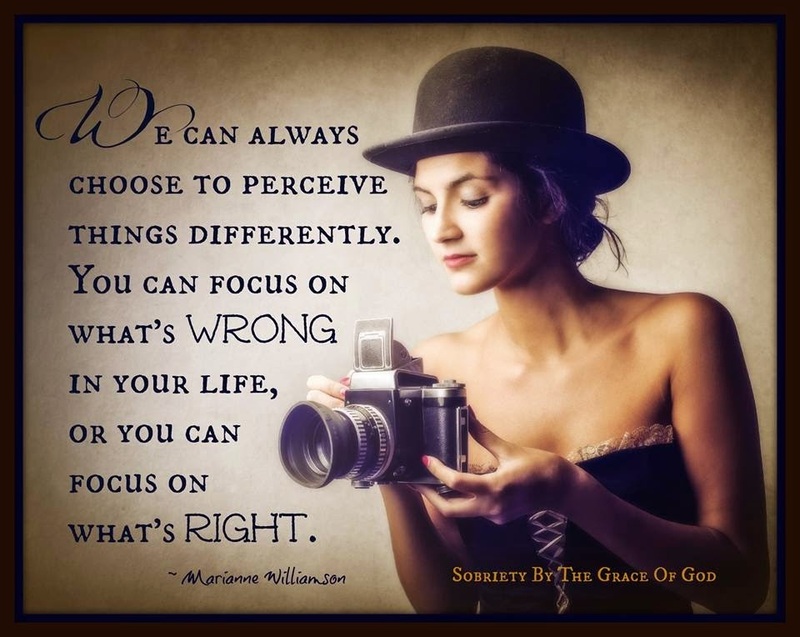 Today I choose to focus on what’s right. I no longer wish to dwell in the land of what happened to me. I no longer wish to play the victim. I take full ownership for my past and I release myself from the prison sentence that I was serving. I punished myself long enough. The time has come for forgiveness and love of thyself. I choose to spread love, joy and peace. I will continue to practice these things. I fall short of course I’m human. But the difference is today, I can turn things around. I can start my day over at any given moment. I don’t have to allow a bad situation or a bad moment to dictate my day and ruin my happiness. My day will turn out how I choose it to. Today’s focus is on doing what’s right. This entry was posted in 2015 and tagged addiction, focus, recovery. Bookmark the permalink. You’re welcome my friend. Thank you for taking the time to read it. I appreciate your support. I played that victim “whoa is me” role way to long. Life is so much better living with a positive attitude and helping the next person. Have a great day Eric! Good morning Vicky. I agree life is so much better being positive and not playing the victim. Have a great day as well.